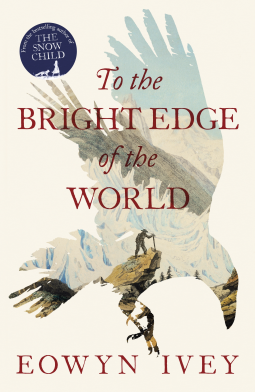 I didn’t really know what to expect when I began reading To the Bright Edge of the World as I hadn’t read anything by Eowyn Ivey before (I see she has also written The Snow Child a Sunday Times bestseller and finalist for the Pulitzer Prize). I knew it was fiction but even so at first I wondered if it could be history, because it seemed so real with extracts from the reports, letters and journals of Lieutenant Colonel Allen Forrester, about his journey in 1885 from Perkins Island up the Wolverine River in Alaska. But the Author’s note reveals that the book was inspired by a historical military expedition and that all of the characters and many places in the story are fictionalised including the Wolverine River. This is a lovely book, narrated through the journals not only of Allen Forrester, but also the diaries of his wife, Sophie. It begins with correspondence between Allen’s great nephew Walt (Walter) Forrester and Joshua Stone, the Exhibits Curator of the Alpine Historical Museum in Alaska about donating the writings and other material and artifacts to the museum. From then on these three strands of the book are interwoven and I was completely absorbed by each one – Allen’s expedition, Sophie’s life, pregnant and left on her own at Vancouver Barracks in Washington Territory and the letters between Walt and Joshua discussing the Forrester family history, the artifacts, and how life in Alaska changed after the expedition had opened up the area. The facts of their lives make fascinating reading, demonstrating the difficulties and dangers of such a hazardous enterprise through unmapped and hostile territory as Allen travelled along the Wolverine River. Sophie’s story is equally fraught with difficulties left to cope with boredom and loneliness, the dangers of pregnancy and the antagonism of other women when she upset their social conventions. She takes up photography and I loved all the details of the early techniques of taking and developing photographs in the 1880s. As I read of her attempts to capture photos of birds, and especially a humming bird, I thought of the contrast between then and now – how we take digital photos with instant results and of wildlife programmes where the intimate life of birds is captured on film. I also loved the mystic elements, the supernatural events that both Allen and Sophie experience, such as the raven and the mysterious old Indian man, the connection to folklore and the beautiful descriptions of the landscape. There are almost spiritual events that Ivey records without explanation that left me puzzling over what actually had happened and what they all meant. And it is a book full of love, the love of Allen and Sophie and the love of the country, the landscape and its people. Although I said there are three strands to the book, as I read I moved between each one effortlessly, enjoying each one equally and from thinking it read like history, I soon realised it was a fictional story of great beauty, complete and whole, backed up by fact and elevated by Eowyn Ivey’s writing. I loved it. The Snow Child is a magical book, and I loved this one too. She is one of my favorite authors, thanks for reviewing! I’m so pleased you loved this book, Margaret. The Snow Child is one of my all-time favourites and I can’t wait to read this one. It sounds a more sophisticated read whilst still retaining the love and the mystical. This does sound like an excellent read, Margaret. The opening up of Alaska is an interesting part of history, and the characters sound well-drawn, too. And I really like it when an author is able to convey such a strong sense of place.